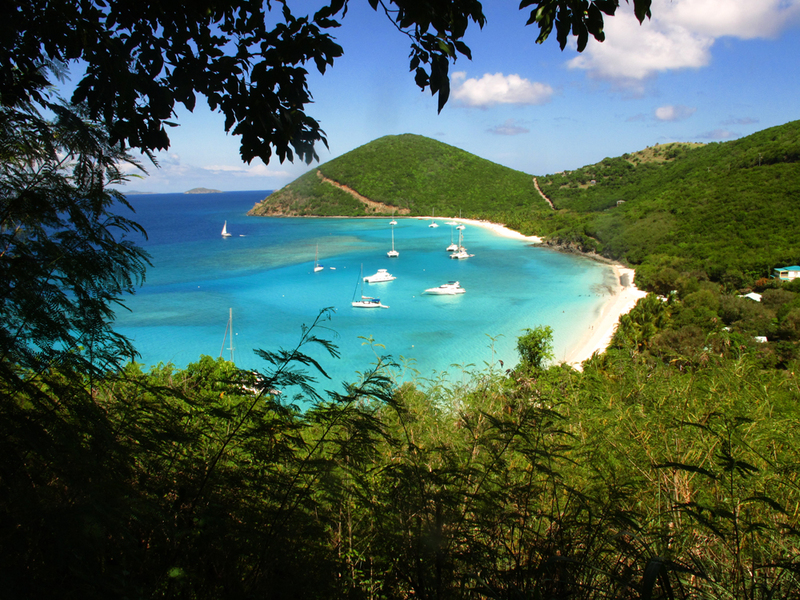 Jost Van Dyke, a part of the British Virgin Islands, may be popular a destination for wealthy boaters, however beyond the yachts and beach bars, lies an undiscovered island waiting to be explored. 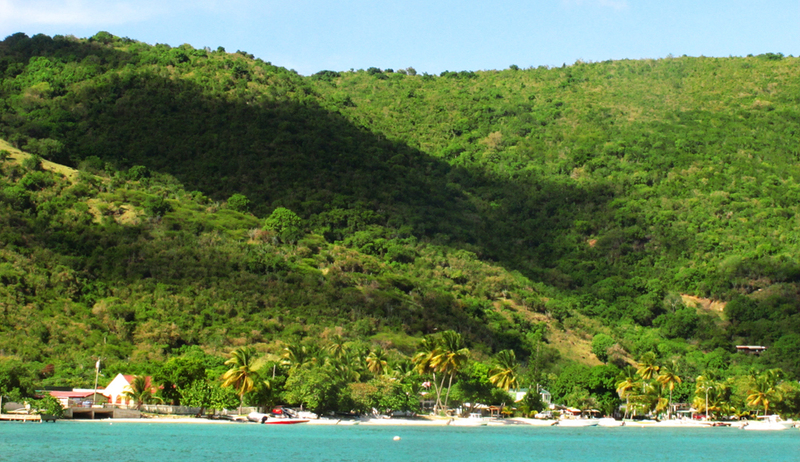 Jost is fairly undeveloped despite being popular. 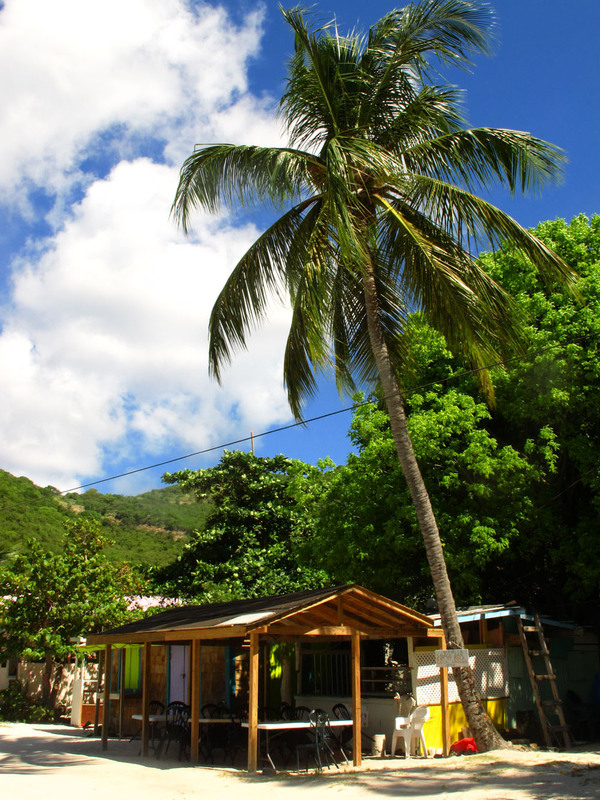 Aside from a few tourist bars and cafes, the island is mostly wild, with residential areas scattered in pockets around the island. 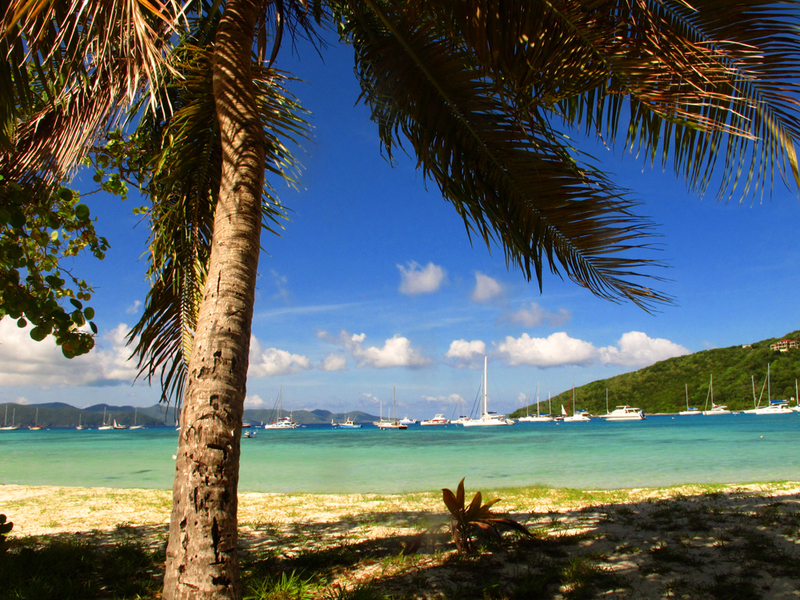 White Bay, one of the largest beaches on the island, is the setting for a daily beach party where most attendees arrive via sailboat, catamaran, yacht, or dingy. Few of these visitors stay the night, few explore beyond the sandy beach. 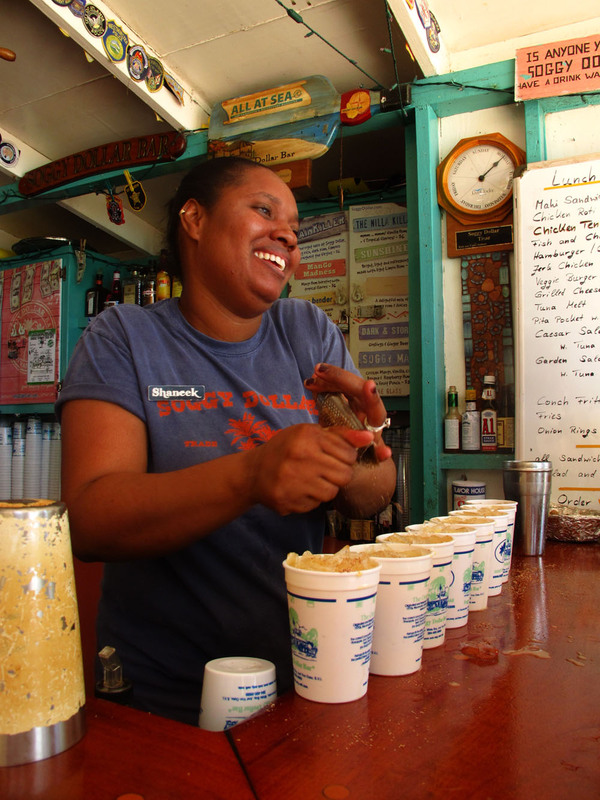 For those of us who can’t or choose not to travel strictly by boat, there are ways to enjoy the party while also experiencing a little more of Jost than just White Bay. 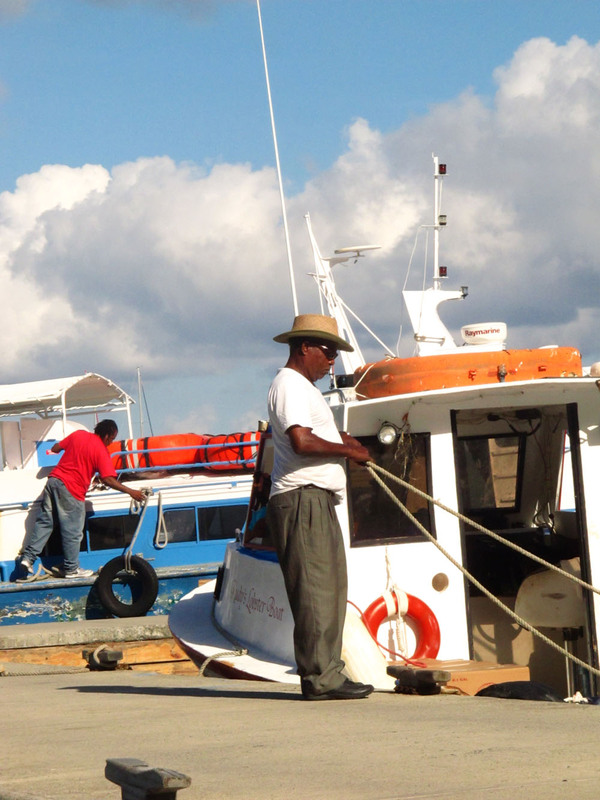 The first place to check out is Great Harbor, a shallow bay lined with small shops and cafes. 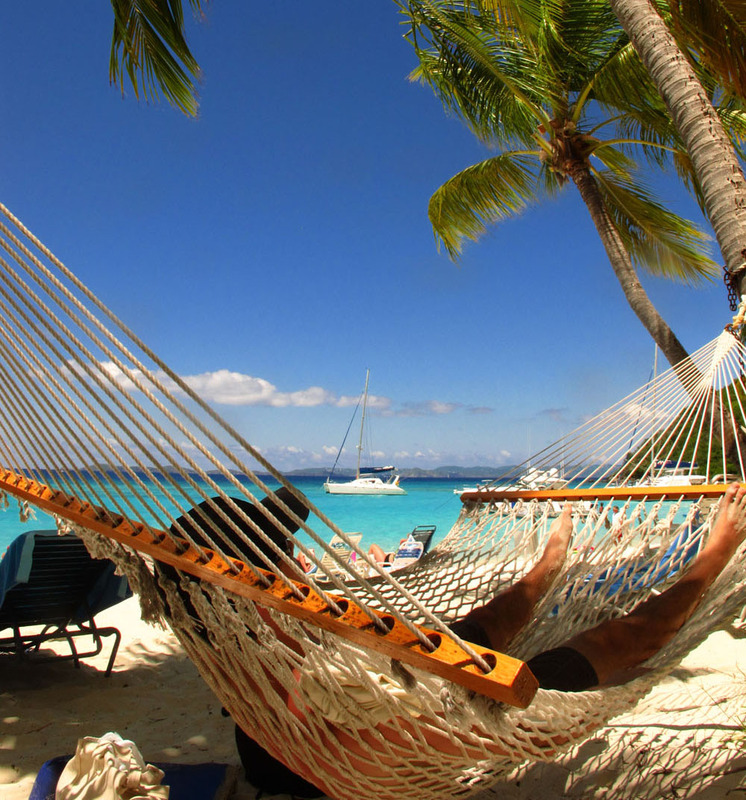 It’s fairly quiet and reserved here as nothing opens before midday – it’s a good place to hang out in a swinging hammock in the shade early in the day. At the end of the road on the far western side of the bay sits Foxy’s, a big draw for the partying yacht crowd. Luckily though, it does not ruin the local quiet island vibe of the rest of Great Harbor. This little strip of land is exactly what I pictured when I imagined an untouched island paradise not yet built up with resorts and luxury. From here, you can hike into the hills in either direction. To the west is the road to White Bay, and to the east is a hike over to Little Harbor. As it was excessively hot upon our arrival to the island, we chose only to hike east over to White Bay. The walk is fairly steep and strenuous but is worth the effort. Not only will you get a little time alone with the island, but the views on either side of the bluff are breathtaking. 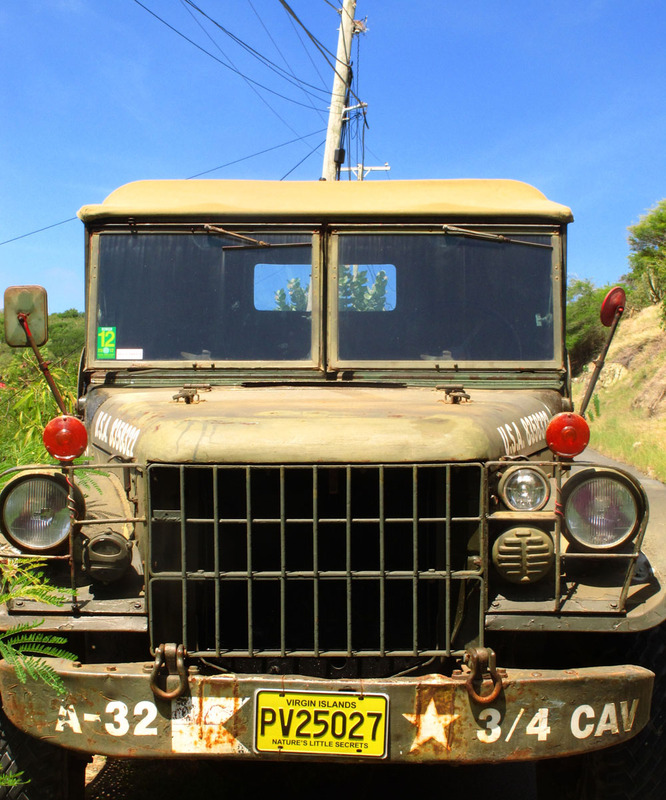 Once over in White Bay, the road eases down into a cove fringed in the whitest white sand enveloped in a neon bath of warm Caribbean water. This beach instantly earned a place in the list of my favorite beaches in the world. I need to update it now! The eastern beach is much less crowded as it is lined with only a villa or two as well as Ivan’s – a beachfront budget hotel perfect for a cost-conscious traveler. The western side is the main attraction, though the sand on both parts is equally silken. The main thing that holds this beach back from perfection is the sheer number of yachts that moor here throughout the day. 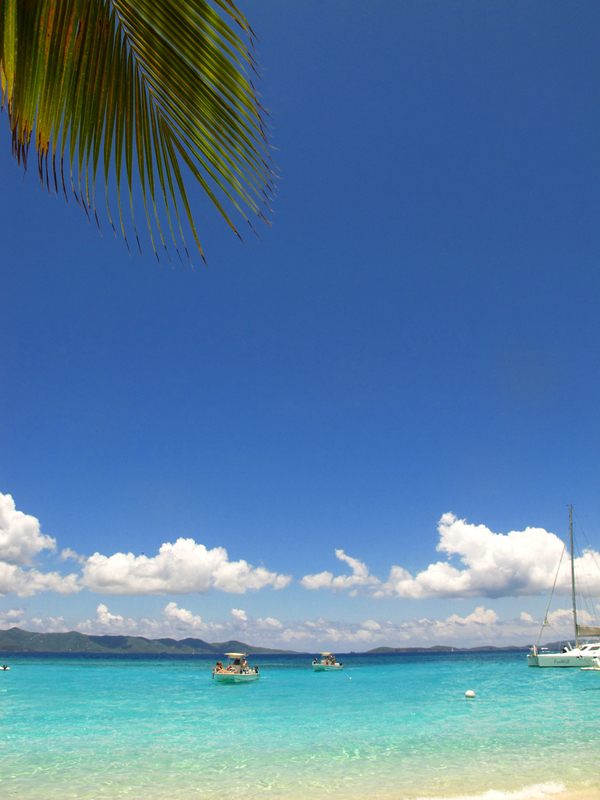 The panoramic view out to St John and Tortola is sadly obstructed by this army of white boats. In early morning, only a few sit in the shallows while the island slowly rouses. Later on while the bay is buzzing with activity, yachts abound, taking away any Robinson Crusoe/Blue Lagoon-like atmosphere. Luckily, if you hang out on the eastern beach or the western corner, you can steer clear of the crowds. The water and beach is calmer and the craggy rocks make a good place for snorkeling and sunbathing alone. 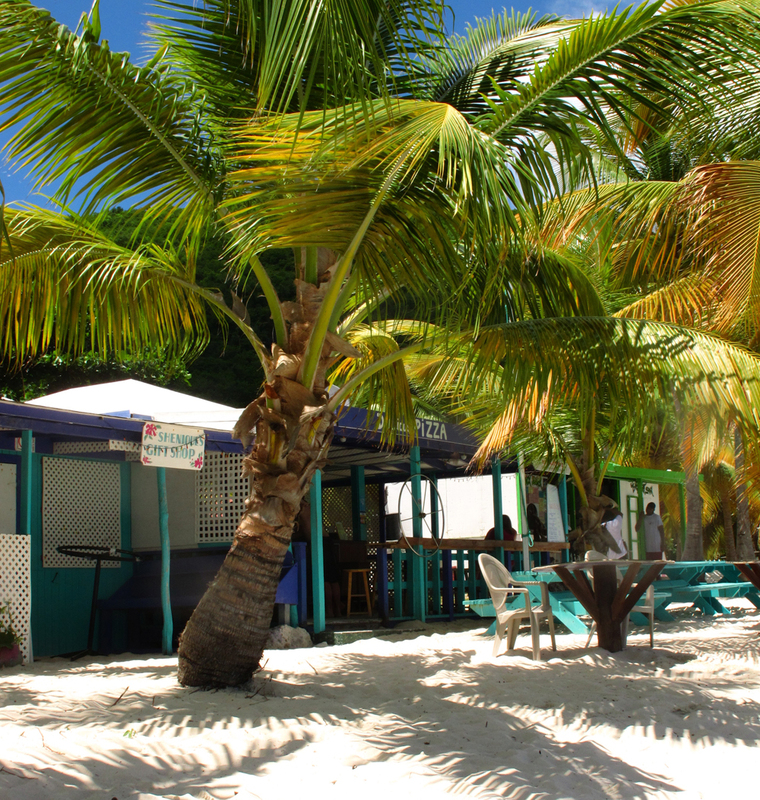 The Soggy Dollar is the most famous of the White Bay beach bars, known primarily for creating the Caribbean famous drink The Painkiller. This drink features Cruzan dark rum, mixed with cream of coconut, pineapple and orange juices, with a fresh grating of nutmeg on top. 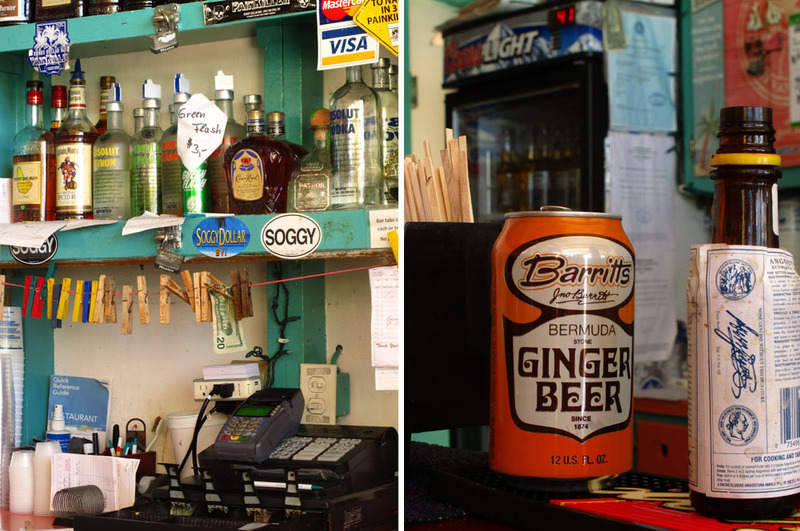 Also popular is a Dark N Stormy (dark rum and ginger) and my favorite – local root beer with Cruzan dark rum. 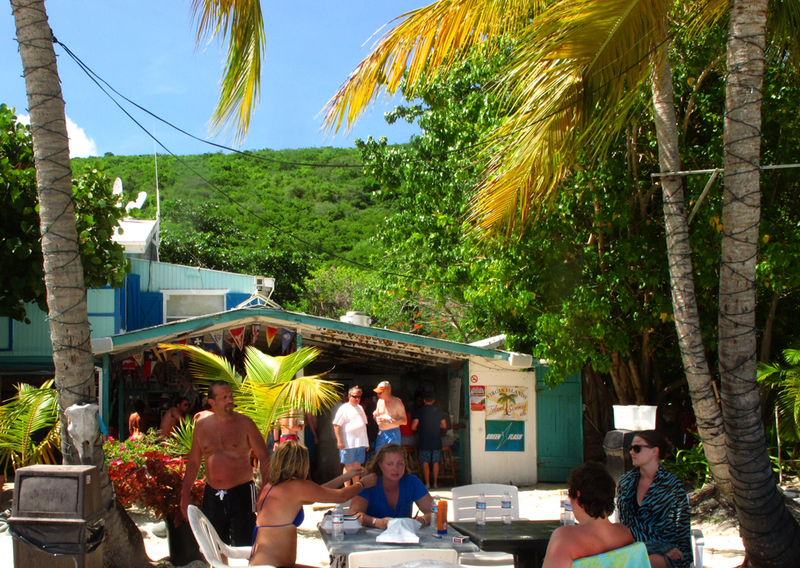 The western half beach is packed with all types of beach bars, some more popular than others. 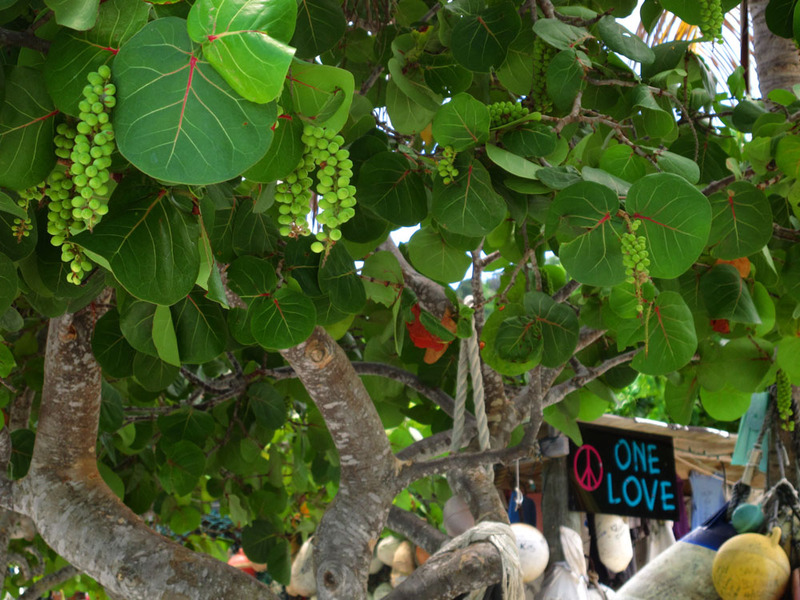 My favorite – One Love – is a good stop for some afternoon reggae music and a cold Red Stripe. The owners hang out in the back with their friends and dogs, all who were welcoming. We even hitched a ride back to the ferry dock with one of the owners friends, along with his daughter and son. 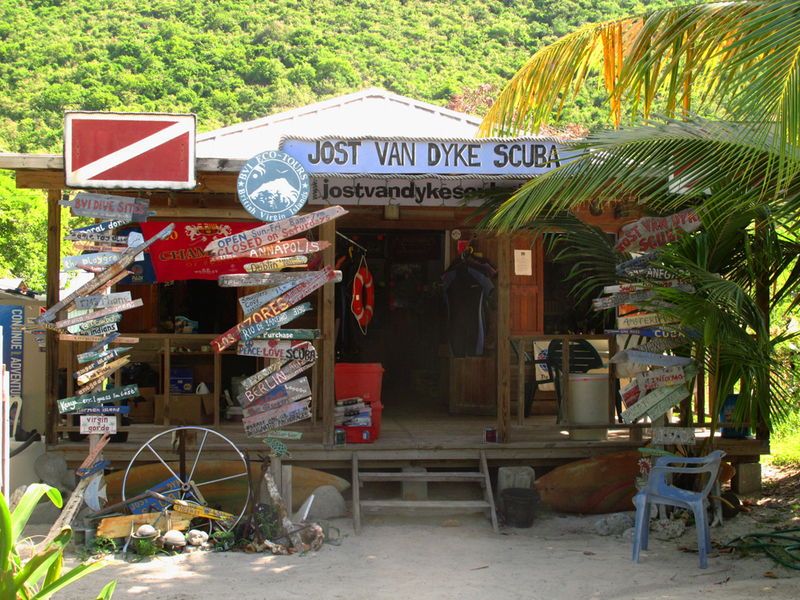 At the end of the day, whether you’ve indulged in the party atmosphere or taken the quiet path, Jost Van Dyke sings. 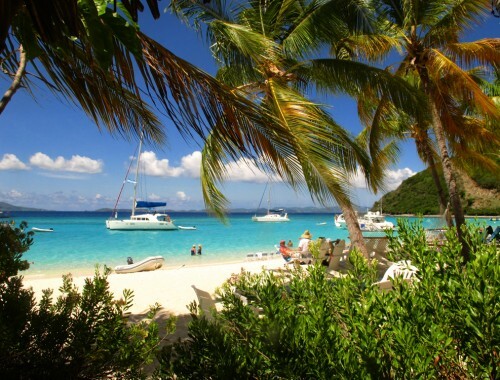 Its beaches and water are among the world’s best and is a breath of fresh air from the standard Caribbean experience. 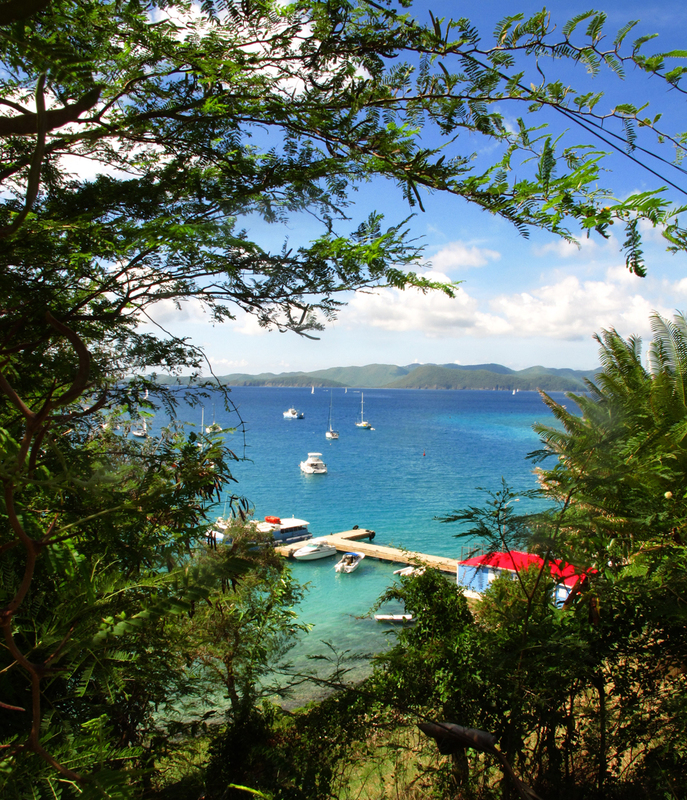 Jost was high on my list for island adventures and is a great option for any traveler looking for a little something different in the Caribbean. hah! thanks for letting me know ill change that out. vinny has a super cool car.